Transitions Optical is the first company to manufacture transition lenses. They wanted to create a learning resource for vision professionals across the world. Healthy Sight Institute was built to offer a comprehensive range of optical health information. This included providing clinical updates and publications. It was important to realize the goal of promoting healthy vision. 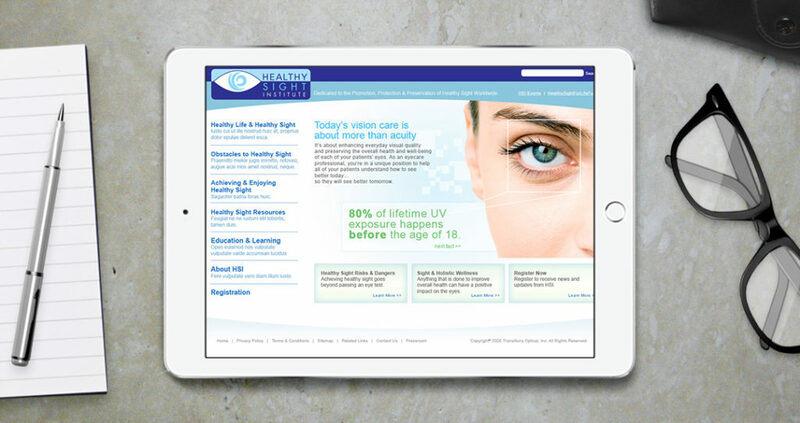 So the Healthy Sight Institute website was designed with visual clarity for its users. Users could see the clean navigation to the left, meanwhile also able to browse quick optical health facts on the right.